After winning the toss and choosing to bat, Tom and Cedric opened the batting for VCC under cloudy skies. Cedric started briskly with boundaries all around the ground as well as quick singles, with the opening pair notching up 37 in the initial 4 overs. The 5th over was eventful – Cedric run out for 24 due to a mix-up and Tom getting a life due to a dropped catch. Aldino was caught and bowled in the 7th over and replaced by Danial who started his scoring with a 6, but fell to a sharp catch at cover. Sarang started with a 4 and continued scoring in boundaries, with the score moving from 55/3/8 to 69/3/10 to 80/3/12. Tom retired for a well-made 19 at the end of 13th, and was replaced by Ahan. The 14th was a maiden over with Sarang then run out for 16 in the 15th. Farhaan came in and started with a boundary of his 1st ball, getting to a score of 99/4/15. 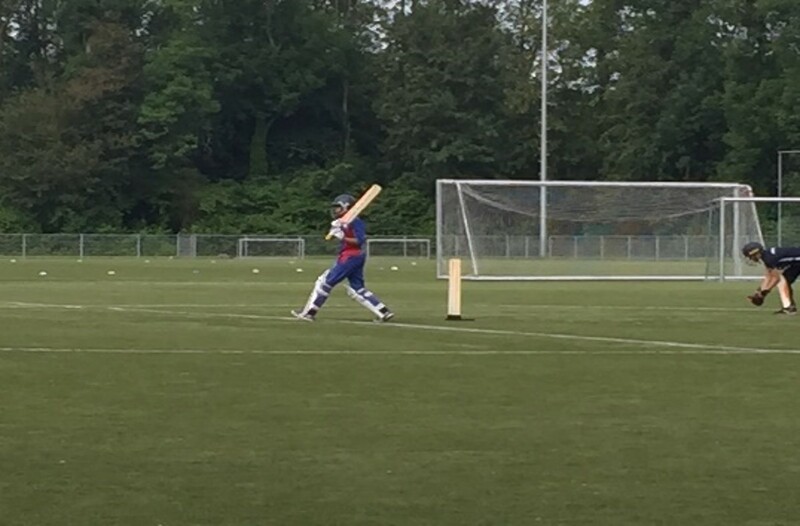 Ahan was then cleaned bowled for 1 and Carlijn came and struck up a good partnership with Farhaan moving the score along from 111/5/18 to 128/5/20. Farhaan retired to give Alejo a chance to bat and once he got out for 4, Tom came back in the 23rd but was caught on the boundary without adding to his score of 19. 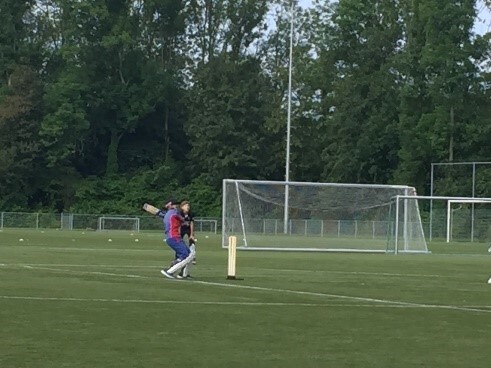 Farhaan came back, hit 3 boundaries in the last over to end with a personal score of 44 to take VCC to a very competitive total of 166 in their 25 overs. Tom opened the attack for VCC. The Quick openers started strongly getting to 15/0/2. Alejo got the 1st wicket with a well directed yorker which shattered the stumps. Spin was introduced in the 4th over with Farhaan who immediately got Valentin out c&b. 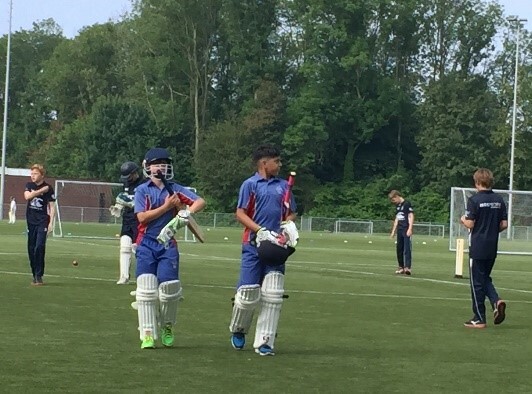 Carlijn struck 1st ball in the 6th over with Wouter caught by Farhaan. The Quick score moved to 32/3/6. Ahan got Bram out for 9 with a c&b off the last ball of the 8th over. Sarang got another wicket (caught behind) in the 9th over and the Quick score moved from 48/5/10 to 62/5/12 to 77/5/14. A boundary in the 16th over led to the ball being lost and a new ball being used. The VCC bowlers bowled quite a few wides and no balls which helped move the Quick score from 99/5/16 to 122/6/18. At this stage, Quick needed 45 off the last 7 overs with 2 wickets remaining. 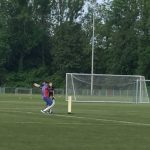 A wonderful diving catch by Ahan at short square-leg to dismiss Quick’s top scorer Jonas for 28 was followed by Carlijn clean bowling Biruk which wrapped up a VCC win by 39 runs in the 19th over in what was ultimately a very competitive and high-scoring game. 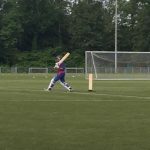 Throughout the overs Aldino managed to stop at least 4 boundaries in wonderful fashion. Well done VCC! Thank you Helen for the wonderful lunch, despite the fact that Matthew could not join! Dit jaar (in de Topklasse!) zijn er nieuwe kansen voor balsponsoren. Meld je via de secretaris.